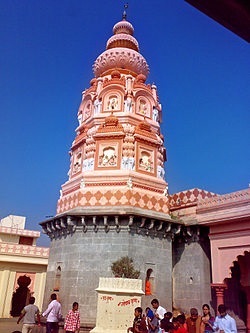 Ashtavinayaka , also pronounced as Asthavinayaka, Ashthavinayaka (अष्टविनायक) literally means “eight Ganeshas” in Sanskrit. Ganesh is the Hindu deity of unity, prosperity & learning and removes obstacles. 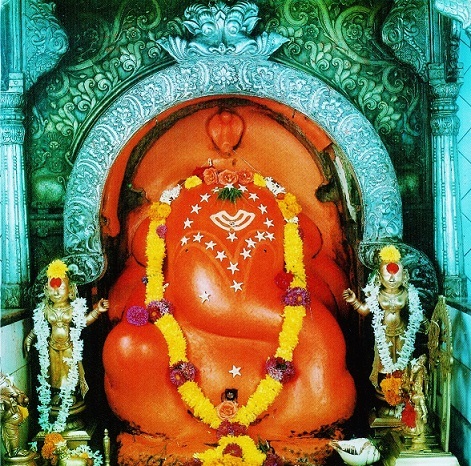 The term Ashtavinayaka refers to eight Ganeshas. Ashtavinayaka yatra trip refers to a pilgrimage to the eight Hindu temples in Maharashtra state of India that house eight distinct idols of Ganesha, in a pre-ascertained sequence. The Ashtavinayaka yatra or pilgrimage covers the eight ancient holy temples of Ganesha which are situated around Maharashtra, A state of India. Each of these temples has its own individual legend and history, as distinct from each other as the murtis (Idos) in each temple. The form of each murti of Ganesha and His trunk are distinct from one another. 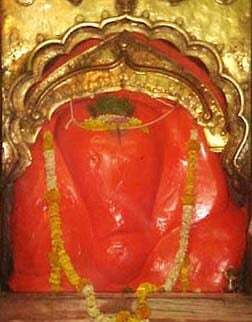 All the Eight Ashtavinayak Temples are Swayambhu (self-originated) and Jagrut. This is the most important temple on this tour. The temple, built from black-stone during the Bahamani reign, has four gates (It is supposed to have been built by one of the knights named Mr. Gole, from the court of Bidar’s Sultan). The temple is situated in the centre of the village. The temple is covered from all sides by four minarets and gives feeling of a mosque if seen from a distance. This was done to prevent attacks on the temple during Mughal periods. The temple has 50 feet tall wall around it. There is a Nandi (Shiva’s bull mount) sitting in front of this temple entrance, which is unique, as Nandi is normally in front of only Shiva temples. However, the story says that this statue was being carried to some Shivamandir during which the vehicle carrying it broke down and the Nandi statue could not be removed from its current place. The murti of Lord Ganesha is three eyed, seated, and his trunk is turned towards the left, riding a peacock, in the form of Mayureshwara is believed to have slain the demon Sindhu at this spot. The idol, with its trunk turned to the left, has a cobra (Nagaraja) poised over it protecting it. This form of Ganesha also has two other murtis of Siddhi (Capability) and Riddhi (Intelligence). However, this is not the original murti -which is said to have been consecrated twice by Brahma, once before and once after being destroyed by the asura Sindhurasur. The original murti, smaller in size and made of atoms of sand, iron, and diamonds, was supposedly enclosed in a copper sheet by the Pandavas and placed behind the one that is currently worshiped. Siddhatek is a remote little village along the river Bhima in the Ahmednagar district and Karjat tehsil in Maharashtra. 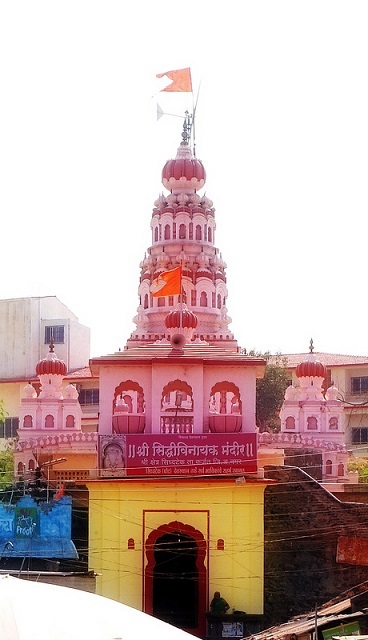 The Siddhivinayak Ashtavinayak Temple at Siddhtek is considered an especially powerful deity. God Vishnu is supposed to have vanquished the asuras Madhu and Kaitabh after propitiating Ganesha here. This is the only murti of these eight with the trunk positioned to the right. It is believed that the two saints Shri Morya Gosavi and Shri Narayan Maharaj of Kedgaon received their enlightenment here. The Mudgala Purana narrates that at the beginning of Creation, the creator-god Brahma emerges from a lotus, that rises the god Vishnu’s navel as Vishnu sleeps in his yoganidra. While Brahma starts creating the universe, two demons Madhu and Kaitabha rise from the dirt in Vishnu’s ear. The demons disturb Brahma’s process of creation, thereby compelling Vishnu to awake. Vishnu battles the battle, but cannot defeat them. He asks the god Shiva the reason for this. Shiva informs Vishnu that he cannot succeed as he had forgotten to invoke Ganesha – the god of beginning and obstacle removal – before the fight. Therefore Vishnu performs penance at Siddhatek, invoking Ganesha with his mantra “Om Sri Ganeshaya Namah”. Pleased, Ganesha bestows his blessings and various siddhis (“powers”) on Vishnu, returns to his fight and slays the demons. The place where Vishnu acquired siddhis was thereafter known as Siddhatek. The temple is North-facing and is on a small hillock. The main road towards the temple was believed to be built by Peshwa’s general Haripant Phadake. The inner sanctum, 15 feet high and 10 feet wide is built by Punyashloka Ahilyabai Holkar. The idol is 3feet tall and 2.5feet wide. The idol faces North-direction. The stomach of the murti is not wide, but Riddhi and Siddhi murtis are sitting on one thigh. This murti’s trunk is turning to the right. 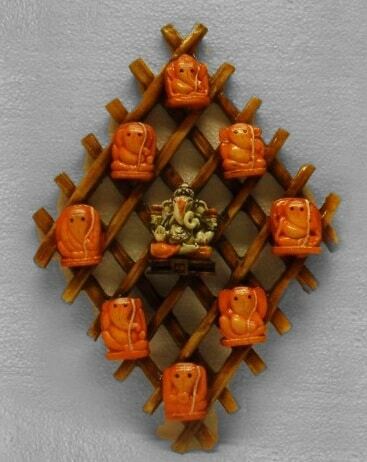 The right-sided-trunk Ganesha is supposed to be very strict for the devotees. To make one round (pradakshina) around the temple one has to make the round trip of the hillock. This takes about 30 minutes with moderate speed. Peshwa general Haripant Phadake lost his General’s position and did 21 Pradakshina around the temple. On the 21st day Peshwa’s court-man came and took him to the court with royal honor. Haripant promised the God that he will bring the stones of the castle which he will win from the first war he will fight as the general. The stone pathway is built from the Badami-Castle which was attacked by Haripant soon after he became the general.